Celebrate life’s most cherished milestone with our collection of Free Anniversary Poems. Whether it’s for your own partner, or to honor the anniversary of somebody else, here you will find the perfect sentiment in one of our wonderful sentiments for a very special day. Married life can be challenging at times. Even the best marriages experience their ups and downs. However, when two people have healthy and open channels of communications, they are usually able to weather the storm. And this does not only apply to marriage. It is a good model for relationships in general. Show your appreciation for your special someone, or congratulate them on being together with some meaningful words from My Word Wizard. Are you a poet or aspiring poet? Our editors are always looking for new poems to add to our collection. 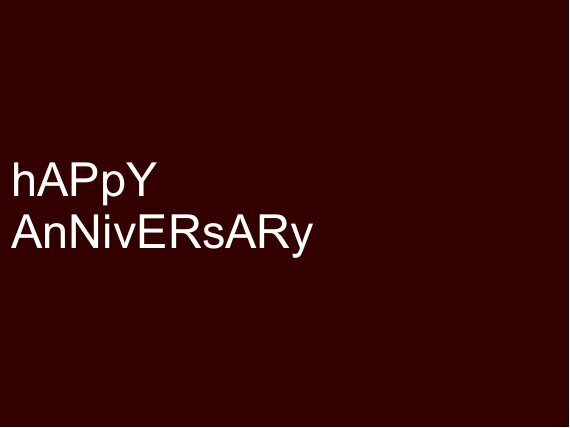 Submit your Free Anniversary Poems to our editors by clicking the "submit a poem/contact us" link at the bottom of this page.